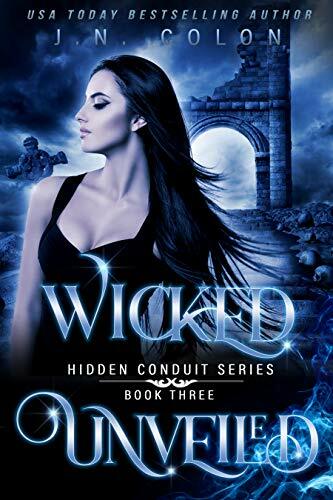 Tomie Dupuy, once a regular guy who has been transformed into a teen warlock in love, must face his fate among dark witches and finally discover the hunter closing in on him. He encounters a more sinister creature, a Dark Shadow Witch, along his journey as well as acquaintances he hoped, to forget. New secrets and extraordinary revelations will unfold to a shocking conclusion that Tomie and Lisette Laveau never imagined. When sixteen-year-old Kate Anderson signs up for the New Hampshire Junior State Golf Championship, she has no idea how important it is for her to win. 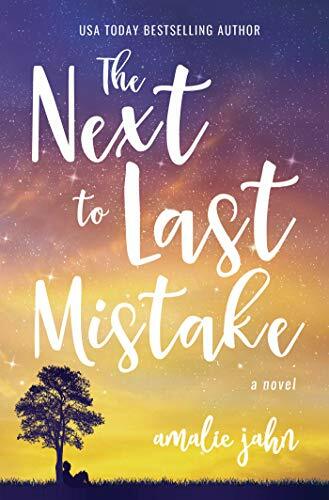 But when she finds out her family’s beloved golf course is on the verge of going broke, the pressure is on to bring home the top prize. Because this year, if she can become the first girl to ever win the tournament, she’ll earn more than bragging rights and a college scholarship – she’ll become famous. And with fame comes a gigantic media blitz, and that type of hype is exactly the prize her family needs to bring back the crowds and chase away the threats of bank foreclosure. Unfortunately, golf is a game of focus and Kate’s distractions are mounting by the day: her growing crush on her best friend Scott and dealing with the local bully seem tough enough without the extra distraction of the cute British exchange kid her dad hires for the summer. But when vandals damage the golf course and Scott is accused of the crime, the stakes suddenly become bigger than any tournament. To clear Scott’s name, Kate takes on the responsibility of finding the culprit before the course is vandalized again. Otherwise, winning the tournament won’t even be on the table . . . and neither will a future with Scott. But all the information she has about the man called Beru is that he was a traitor to the great hero, Onen Suun, who imprisoned the fallen over two centuries ago. If she frees this enemy in order to save her brother,how could she live with herself? She craved the adventure of a lifetime. She got it and it’s much bigger than she ever dreamed. Everything Aria tried to do in order to save her brother and help those closest to her has made everything worse. She’s now alone with Beru, trying to figure out a way to fix what they’ve done, to undo what they’ve started. But Aria still can’t get over the fact that Beru is a traitor to Onen Suun, the only man who dared to defy Dag’draath. Beru was the reason Onen Suun was forced to sacrifice his life to save the world. But the more she learns about him, the more she realizes that maybe history got it wrong. Maybe the stories weren’t quite true. Maybe Beru never betrayed the leader he so respected. As they run, trying to find a solution, Dag’draath releases a new danger from his prison, using the rift Aria created. If they can’t find a solution soon, the prison will break, releasing the entire army buried within. Can Aria and Beru find the key to keeping the prison closed before Dag’draath, the dark god, unleashes his demon army? Aria now knows that there’s no plugging the hole in the prison. But that doesn’t mean she’s without a plan. Aria is finally feeling like she’s figuring things out. At least, she’s not fumbling her way through adventure as much anymore. At least there’s that. But there is no way to reseal the prison. Too many ur’gel have escaped, making the breach even bigger. And the only thing they can do is to wait for Dag’draath to break out as well. They have no weapons against Dag’draath, though. He’s a god of evil. In the fight before, they had Onen, the man of Light and everything good. There’s no way to resurrect him. But she does have someone from the past who might have a solution their war that he doesn’t even realize. In order for him to find that answer, though, Beru’s soul needs to heal. He’d been tortured for two-hundred and fifty years. So, Aria’s next mission is simple. Heal Beru. Then, figure out what the world needs to do in order to stand up against the greatest enemy they’ve ever faced. One innocent human girl. Twenty-five supernatural bachelors. 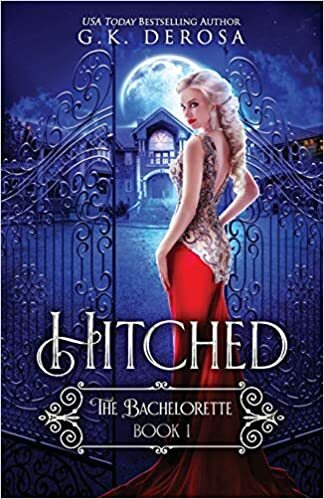 Six weeks to choose the one.When struggling actress Kimmie-Jayne Starr discovers she’s snagged the starring role on the next huge reality TV show, Hitched, she thinks all her dreams have finally come true. But as soon as she lands on the beautiful island of Mystic Cove, something feels wrong. Sure, the twenty-five bachelors are heart-stoppingly gorgeous, but she’s certain they’re all hiding something—something supernatural. As she gets to know the guys, protecting her heart proves impossible when she finds herself irresistibly drawn to more than just one. As a string of strange accidents on set grow deadlier, Kimmie realizes there’s much more to this dating show than she ever could’ve imagined. If she can’t figure out who’s behind these incidents, she’ll end up risking more than just her heart. A mysterious prisoner, long forgotten. A sly trap is sprung with terrifying consequences. Ancient blood ties of horrifying significance. Kara, heart bearer of Bastion, returns to Gaia to begin her mission. 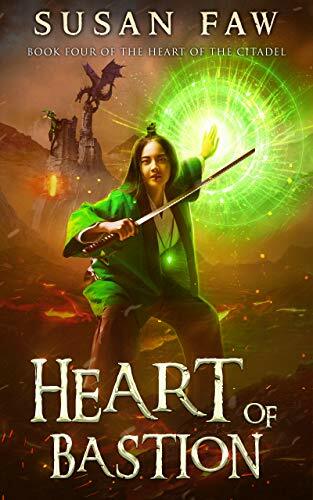 Aided by her djinn Dragonmerger, Chryso and a feisty dragon named Beryl, she embarks on a journey into the core of the emperor’s dangerous stronghold. 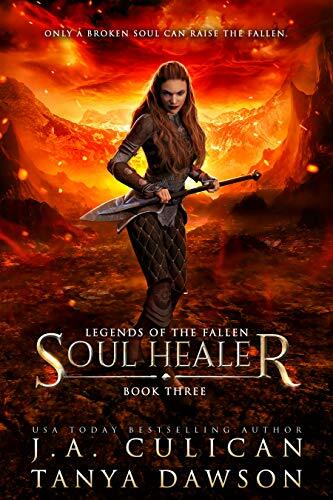 Her quest to bring down the barrier is overshadowed by her mother’s urgent plea to free a man imprisoned within the citadel’s stone walls. 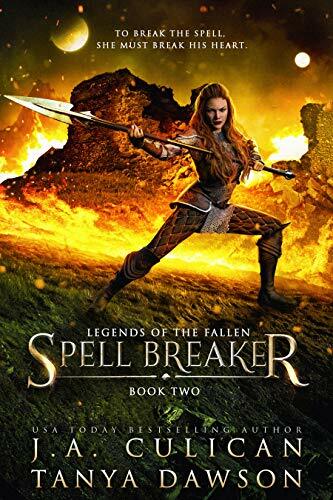 It does not take long before Kara is confronted by her brother Jasper, a wizard who has sworn allegiance to the Emperor. Convinced of his loyalty to her family, she places her life in his hands, enlisting his help to free the captive. Lines blur as loyalties are tested, for the emperor sees all. They are pawns in a larger scheme, orchestrated by Madrid, and their plans are doomed to fail. A hidden princess is an obedient princess. On the shores of Madra, tradition is law. For Princess Helena Rhodipus, this means wearing masks to hide from common eyes. For the people, it means bowing down to a king who cares little for them. Wanting to rid herself of the rules holding her back, Helena escapes into the city, unrecognizable without her mask. 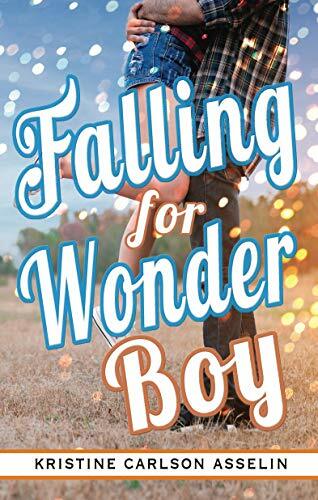 She only wants a taste of life outside her walls before returning to the only place she’s known, but she hadn’t counted on him.The boy who makes her forget about her brothers’ worries or her father’s wrath. What if Dell is the freedom she’s been searching for her entire life? 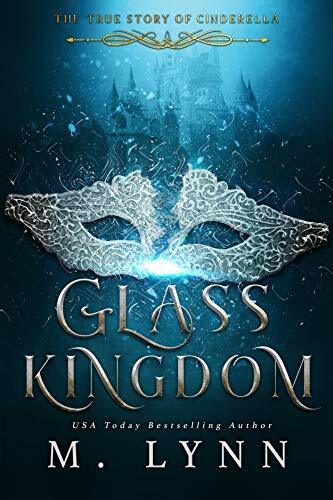 As she begins to believe it’s possible to be both princess and normal girl, the kingdom she loves is thrown into chaos, and her once-solid family shatters, proving they’d been made of glass all along. The unclaimed son of a dead merchant, he sleeps in the barn behind his step-mother’s grand house. The life suits him. He only wants to get through each day and make it to the next. Injured in a street fight, Dell wakes to find himself embroiled in a world of spies and plotting with an unknown girl right in the center of it. 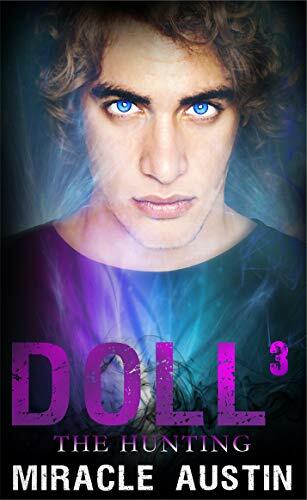 He doesn’t know who she is or where she’s come from, but Dell vows to do whatever is necessary to protect her. Even if that means fighting in the halls of the palace or blowing apart the castle walls. Saving princes or battling raging fires. A coup is coming to Madra, a battle for the kingdom’s very soul. Maybe winning doesn’t mean saving the crown, but only surviving its fall. Inspired by the Cinderella story, this is the fairytale as you’ve never seen it before. A shattered princess is a vengeful princess. On the shores of Madra, rebellion has won. Her family dead or missing, Helena seeks help from the kingdom across the sea. Bela. She knows it from stories of magic and war but now finds herself at the mercy of the intimidating Basile queen. Etta is everything Helena wishes she could have been for her family and everything she hopes to be still. Convincing the foreign warrior queen to let her stay is easy. Convincing her to train a princess she barely knows is something else entirely. When shocking news comes out of Gaule, Helena realizes the fight for Madra hasn’t ended. It has only just begun. Dell Tenyson left everything behind. When the crown fell, he found himself on the unlikely side of those trying to save it. Now, he follows Helena across the sea to help her regain what she lost. Not the crown. Her family. But when all she wants is vengeance, will he be enough to remind her she still has a reason to live for something more? 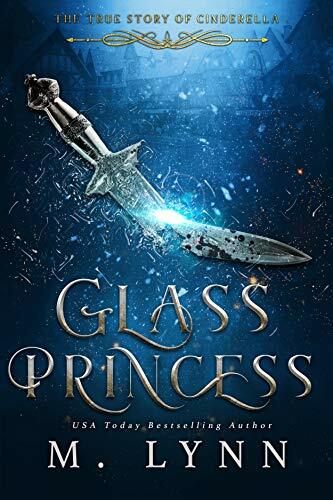 Glass Princess is book two in a duology that is part of the Fantasy and Fairytales series. Immortalized by fire, a new prince will reign as Heaven trembles in fear. Struck from Heaven to Hell, even the infinite peace of suicide is stolen from Lucifer. His maker isn’t done with him—not by a long shot. 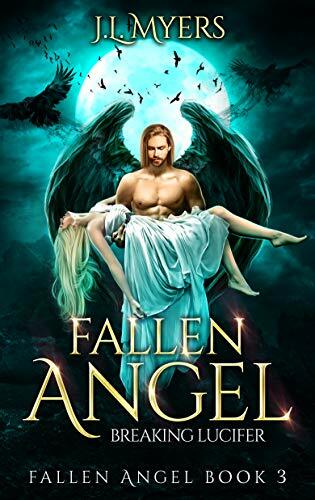 With the promise of soaring wings that could return him to his forbidden love, can Lucifer do the heinous task that is being demanded of him? Banned from glimpsing Lucifer, Gabriel has her own redemption to pay. But her penance is unconscionable, an order that goes against all that she has strived to uphold since Lucifer’s banishment. A punishment that will turn Lucifer against her if he ever found out. Worlds apart, and with danger and betrayals on the horizon, can these forbidden lovers ever find their way back to one another, or will this finally be the end of their jilted love story? Charlotte Flynn is on a mission. Betrayed by both Penumbra and her Uncle Baron, Charlotte is seeking the missing Flying Ponies in the hopes of uniting them against their wayward leader. 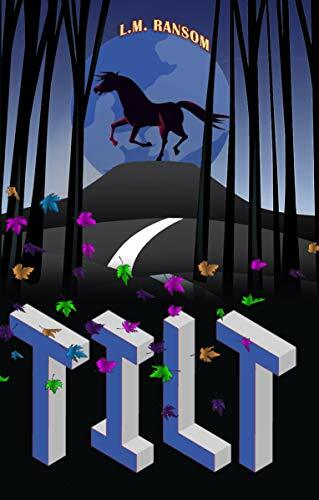 Joined by Dreadful, a crazy cavalry horse; Black, her new boyfriend; and her family and friends, she plans to find the missing carousel horses before Penumbra and Baron do.But the hunt won’t be easy. An old friend of Black’s shows up, with intentions that might not be as honorable as she says. The Tyranny holds some of the Flying Ponies in their possession – and they’re not giving them up. 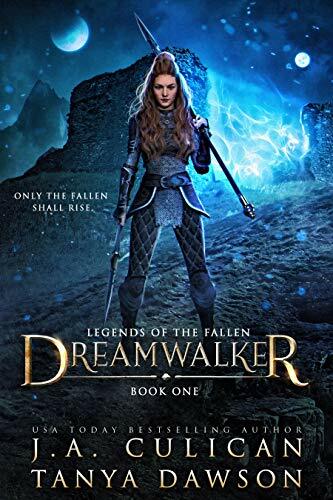 Penumbra, determined to have all the carousel horses to himself, will stop at nothing to defeat Charlotte and Dreadful.And if that isn’t enough, Charlotte discovers she, like her traitorous uncle, has magic flowing through her. Determined to bring the Flying Ponies back together no matter the cost, the sixteen-year-old may end up paying the ultimate price. After Quincy the Quail and his mate, Quella, build a nest, they anxiously wait for their chicks to hatch. When a large egg plops down next to their home, Quincy must find a way to deal with this mysterious intruder. 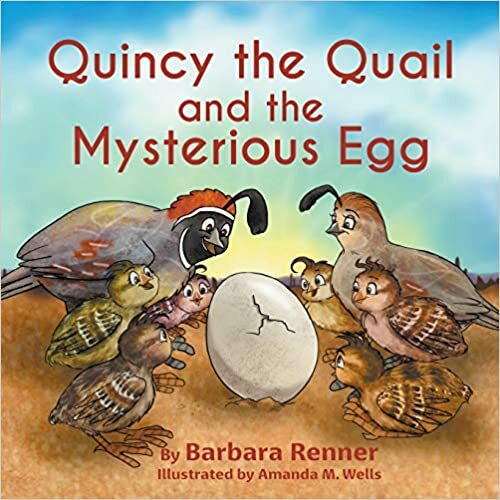 His solution provides the quail family an opportunity to become friends with their desert neighbors. Audio QR codes in the book allow the reader to hear the quail calls and owl hoots by using a free QR Code Reader App. In addition, interesting facts about the Gambel’s Quail and Great Horned Owl are included on almost every page. This book is appropriate for ages 3-7 and is educational as well as entertaining. Children love hearing the animal sounds. Parents and teachers love the interactive innovation.